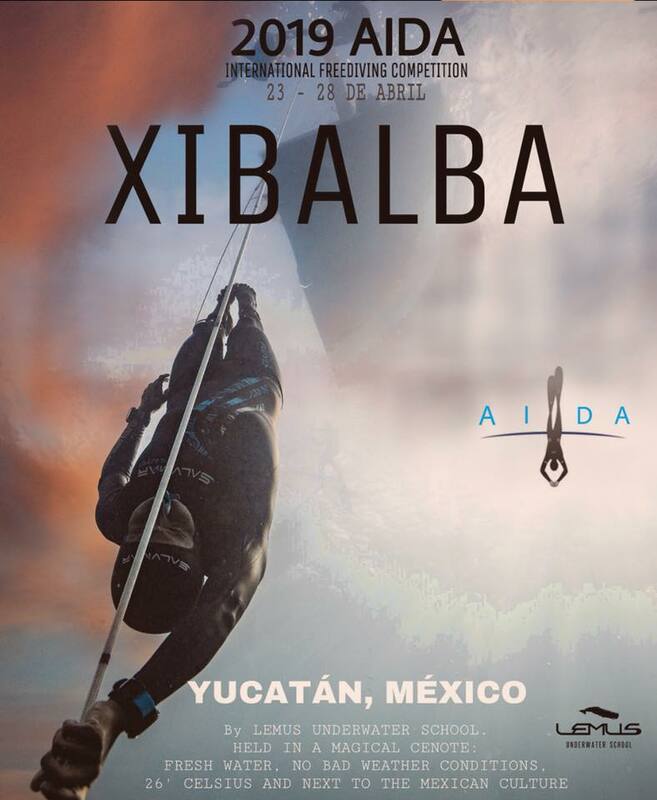 We are very plased to invited you to the competition XIBALBA 2019 edition 23 – 28 April 2019 This year we open just 25 spots for 25 athletes. Don’t miss your spot and live this amazing experience to have the best conditions underwater and land. No waves, no corrent, crystal clear and fresh water, 26 c°, warm weather, into a natural cave with a natural wonderful pool of 92 meters depth Maximum. People for all over the world wanna try this amazing experience diving into the XIBALBA, and enjoying one of the most amazing places in the world for Freediving. The Cenotes in Yucatan, México. Dive with us into the underwater land and discover the new world in this amazing competition! Don’t miss it! We gonna have the honor to have as our returning sponsors PADI, Punto Sub and Salvimar, with beautiful prizes.